McGregor Coxall has received more than 50 awards including the prestigious international Topos Landscape Award in 2009, with the jury citing the firm’s design quality and innovation, and potential to make significant future contributions in landscape architecture and urbanism to global practice. The firm’s body of work includes the landscape design of Ballast Point Park in Birchgrove, which won the World Waterfront Award and World Architecture Prizes in 2011, and the public domain design of Sydney’s first “eco-village” in Green Square. McGregor Coxall also designed the National Gallery of Australia (NGA) Australian Garden that includes ‘Within without’ by James Turrell, one of the American artist’s largest and most complex works to date. McGregor Coxall is currently part of a design team creating the Royal Botanic Gardens’ Calyx project – an exhibition space being developed as part of the Gardens’ 200th anniversary that will showcase the world of plants and animals. 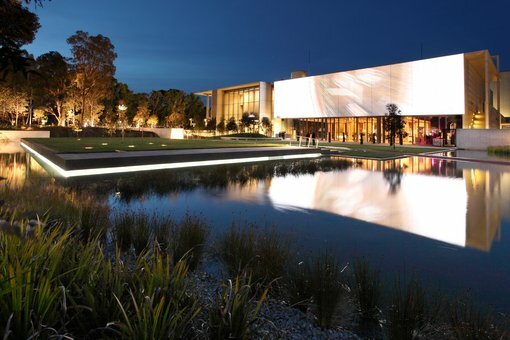 Art Gallery of New South Wales Director Dr Michael Brand said McGregor Coxall was selected through a competitive process. Five firms were invited to prepare submissions, which were reviewed by an expert panel comprising representatives from the Gallery, SANAA and the Royal Botanic Gardens. Dr Brand said the Sydney Modern Project will allow visitors to experience an exceptional 21st century art museum with a seamless unfolding of indoor and outdoor spaces linking The Domain, the Royal Botanic Gardens, Woolloomooloo and Sydney’s CBD, while offering views of the harbour and beyond. “We are looking forward to working collaboratively with McGregor Coxall and SANAA to deliver an exceptional design for the Gallery’s ambitious and transformative project,” Dr Brand said. McGregor Coxall director Adrian McGregor said he was honoured the firm had the opportunity to work with SANAA and the Gallery to amplify the special Sydney landscape qualities required of the project and assist to integrate the buildings into the site and public domain. “As far as the process and the way in which we’ll work with Tokyo-based SANAA, rather than separately generating ideas we plan to work with the architects via hands on workshops so that mutual directions can be established prior to working up design options in order to deliver seamless design outcomes,” McGregor said. SANAA and McGregor Coxall will fully utilise 3D design capabilities. Digital files sent by McGregor Coxall to SANAA can be printed in 3D as the design progresses. The design of the National Gallery of Australia’s new entrance and Australian Garden was managed in this way by McGregor Coxall. The Art Gallery of New South Wales will continue to work closely with SANAA and McGregor Coxall in coming months to develop a final concept in consultation with staff and key stakeholders, and will seek the views of the wider community as part of the process.